1.6 Have You Considered A 450 Lb Capacity Recliner? What are the Best Big Man Recliner Chairs with 500 pounds weight capacity rating?. Well to start with…No cheap and nasty recliners that may fall apart within months. Only solid heavy duty recliner chairs especially built for the Big Man & Women are even considered in our list. After a hard day at the office, there’s no greater feeling then coming home from work and crashing into the recliner. Laying back with those tired and busted feet up and simply taking a minute to enjoy ‘nothingness’. It’s a magical feeling that’s hard to beat. However when your a Big Man like myself, you may already know that the standard recliner chair may not be adequate for our heavy load requirements. While the common recliner chair may appear to be large and look pretty darn nice don’t be fooled into throwing away a few hundred bucks without doing some research first. They may not be built from heavy duty materials. Which is a deal breaker for me. This is a common mistake I see folks make and it can be a costly one. Make sure you check the weight capacity rating before buying a recliner, that is my best recommendation. Fortunately I have got you covered here with ONLY recliners that support 500 pounds (Lbs). Nothing less. So if your a big man and require a super size recliner. Stay tuned and keep reading on. If you require recliner chairs that have various weight capacities (Over 250 lbs) you can visit Our Top 5 Big Boy Recliner Chairs. Not interested in weight capacity and want just a wide recliner?. 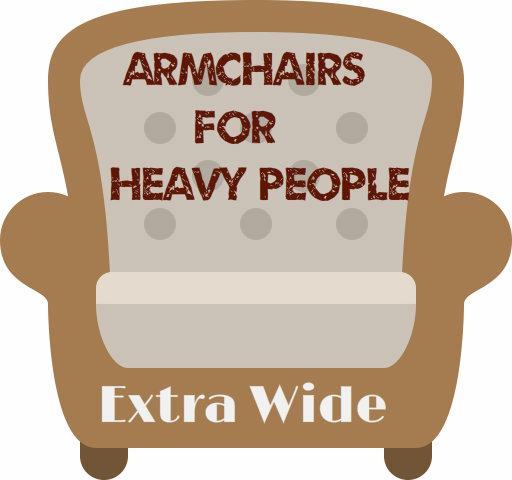 Check out these Extra Wide Reclining Chairs and see what the widest chairs available are. While there only a handful of recliner chairs that can actually handle up to 500 pounds that I found to be worthy. We will always be on the look out for even more to bring you the reviews you need to help make a decision on what recliner to buy for a Big Man. There are 2 standouts in the 500 lb category for us which come highly recommended. However, I still personally love the Catnapper Recliner, but do note it’s only rated to 450 pounds. I find the biggest problem with being a really big guy is getting in and out of any recliner chair. Without the assistance of another person, it’s almost impossible. But with the ‘Lift’ technology that this Mega motion chair has, we can finally have Independence and can get into the recliner on our own. The lift feature is a motor that is powered and also has a backup battery option (For emergencies when the power goes out and your left stranded in the full recline position, the battery feature kicks in to save the day). The lift is controlled by a simple to use remote control. With the push of a button the chair will raise up and tilt forward or back for easy access. So basically your standing and just slightly bend the knees, push a button and your now on the once impossible recliner. Lower yourself down with the remote to the position in which you want to recline. There are 3 positions in which this chair has access to. The normal sitting up position, then slightly reclined and finally the full recline position which is my favorite for those afternoon naps. As this is a 500 pound weight capacity recliner, your going to probably need some help positioning the chair at your home. Although you can pay for a home delivery service that will install it into your home. It’s not your average recliner, and that’s exactly what us big people need. It’s made from superior timber hardwood and reinforced steel supports, which make this one heck of a heavy duty recliner. Some size details I think you may need to know: The area between the arms is most critical and it measure in at 27 inches. The distance in height from the floor is 20 inches and the depth of the seat s 20.5″. Will this recliner also suit a big and tall person?. Yes it’s perfect for people to probably 6’2″, but if your even taller then your feet may hang slightly off the end when reclined. Not a big deal tho. Overall I find this Mega Motion the most comfortable and feature packed recliner for many heavy person, especially for the big Men 400 pounds and upwards. While the Stallion recliner is not a ‘Lift’ chair like the Mega Motion, it’s still built to hold 500 pounds. It’s one of my all time fav Big Mans Recliners without the Lift function. Where it lacks in the lift feature, it makes u for in the cushioning department. This is one loaded up with padding and comfort chair. If not one of the most comfortable chairs Ive reclined in. Made in America, this chair has many attributes for the big and tall market. The back rest measures in at an impressive 26 inches and when fully reclined is as long as a King size mattress. The frame as well as the seat support is made completely from steel for added reinforcement, which differs from the normal timer and steel recliners. So you can really feel safe as a big man in this recliner.The other notable feature of this Lane Furniture recliner is it’s wall saver feature. This is ideal for small rooms when you have the chair positioned at the back of the room directly in front of the TV. The wall saver feature shifts forward as you go into reline mode, so you don’t smash into the wall and create more headaches for yourself. Overall I find the Stallion a good option to buy for a recliner with such a high weight capacity. While I do prefer the Mega Motions recliner, this one is a bit cheaper. But take into consideration the amount of help an added Lift function would be in your life. To me, that extra couple hundred bucks is worth it’s weight in gold easily. Have You Considered A 450 Lb Capacity Recliner? As I previously stated, one of my favorite recliners of all time is the ‘Catnapper’. But it’s only rated to 450 pounds. However, I hold a lot of faith in this chair, and would feel disappointed in myself if I didn’t at least suggest it to you guys. So take a look anyways, and you may just like what you see. Thanks for reading. I currently own a Catnapper 450lb power recliner. That’s why I am here now looking for other options. My chair has had to be repaired multiple times in the three years since I bought it. So much so that the retailer is now refusing to work on it anymore and is going to send the repairman out to photograph all the repairs they have made and attempt to get Catnapper to credit me for a new chair. Due to a spinal injury I have to sleep in a recliner and this chair was VERY comfortable, yet lacked a full recline position for sleeping. I really wished there was a 600lb full recline power chair that is mega comfortable. Have you had a look at the Med Lift Power Lift 3 Way Recliner. It has a 600 lbs weight capacity and is in the US. I have like many as well owned chairs with a lower weight capacity than body weight. 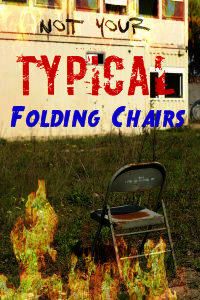 While chairs have held up before (Even recliners), there’s always that fear of breaking the chair in the back of my mind. I find it difficult to relax thinking about this every time I sit down. If you are 50 lbs over the weight limit, the chair will hold up, but may not last as long as a chair with better strength behind it. How many options in chairs have you found for 600 lbs people or better… been looking and not having much luck. Without breaking the bank that is.. They are certainly hard to find. Maybe a custom recliner store could do one up with the reinforcements needed. But I imagine it would cost an arm and a leg. Sorry to not be of much help. My problem is that I use the chair for extended periods–up to 18 hours a day. I weigh 235 lbs., so I don’t think that the weight capacity of the chair is a super-important feature. My thinking is that if I get a chair with a higher weight capacity, it will hold up longer to extended use. Any comments or suggestions are appreciated! Hi Wits, I have to agree with your line of thinking. A recliner with a heavy duty weight capacity has been reinforced to support larger weights. So being considerably lighter, you would be like a kid on a normal recliner. So the mechanics and parts won’t get the wear and tear as they normally would. At the moment I’m really loving the ‘New’ Stallion. Because of the massage and heat features really. But overall its a great chair. Please correct me if I’m wrong but it looks like they don’t make the Mega Motion 500. According to your link at the manufactures web site the chairs are only up to 325lbs. Hi Wisdom, Thanks for your queries. When you click on the link or visit amazon.com Mega Motion 500 you can see it has a 500 pound weight capacity. Maybe you clicked on the wrong link?. Do any of these heavy recliners have zero gravity? Unfortunately no they don’t George. I’m not sure if it’s due to the high weights that can be forced upon the chair that make it difficult to achieve. Hi Marty, the Mega Motion big lift recliner has a weight capacity of 500 pounds and has a width between the arms of 27 inches. It can be found by clicking on this link to Amazon. Hope this helps. 400 and 500 pound rated chairs with a 27″ seat??? who designed these things? how many ppl that weight has a 27″ posterior?? think it out before you buy. I know what you mean McGuinty, but unless you want to get a double wide recliner, it’s not easy to find much wider. The widest recliner between the arms I have found is 30 inches which can be found here. Hope that helps. Great to hear you are enjoying the Stallion Cybot. Thanks for coming back to share your opinion on this big persons recliner.